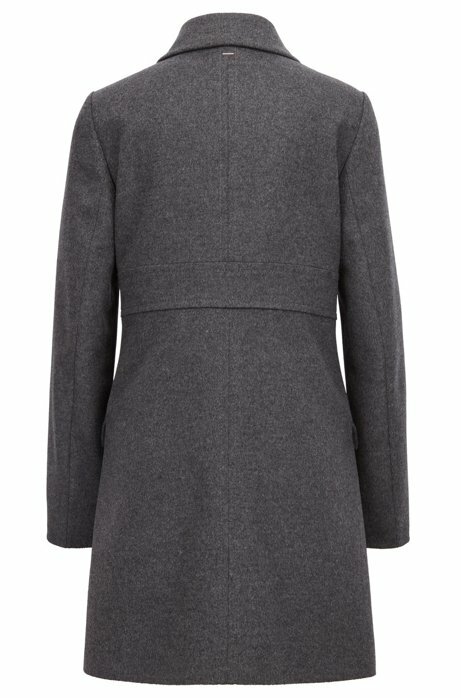 A feminine coat by BOSS Womenswear, created in soft virgin wool blended with luxurious cashmere. 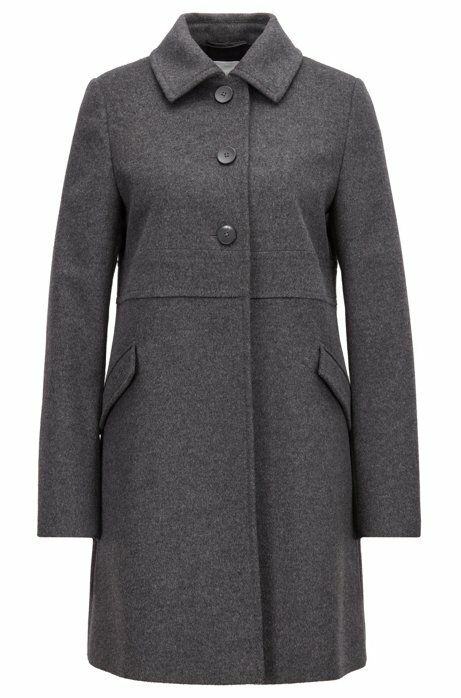 Cut to a regular fit for easy layering over winter knits, this single-breasted coat features notch lapels, flap pockets and tonal buttons through the centre front. 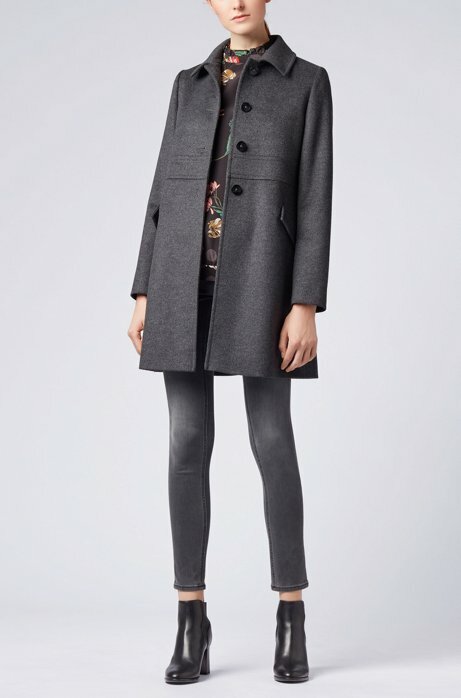 Wear this versatile coat over both smart and casual ensembles for dependable warmth.